Some people call the part of the bike where your hands go “the cockpit”. This seems a bit OTT to me. On the tri bars I have a route sheet holder. It’s homemade from two layers of corrugated plastic (correx). The levers are 2007 Campag Centaur QS. Nice shape, shame about the build quality. I had to have both repaired this year. 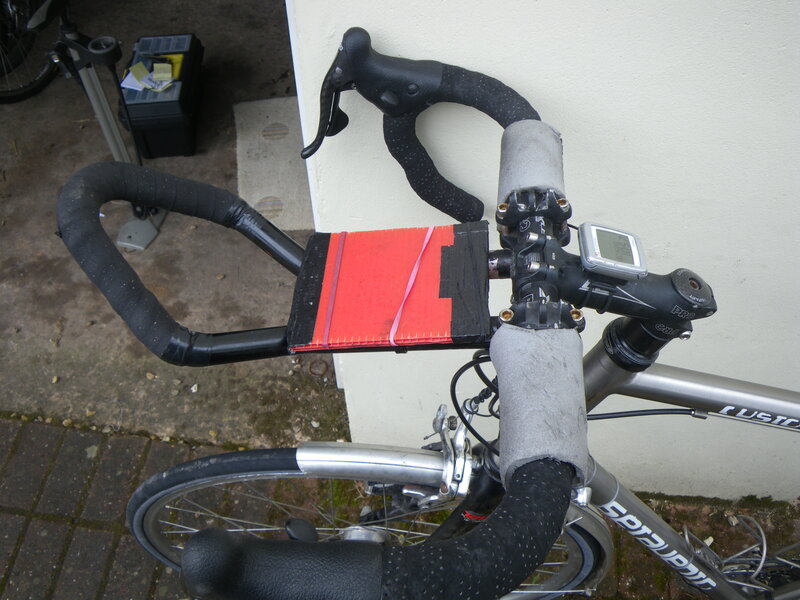 The ‘trip up’ ‘trip down’ feature would be very handy for routesheet audaxes. Nice.